Aroa Kainga Bungalows and Studio Apartment are 2 mins. walk to excellent swimming & snorkeling beaches, including the famous Aroa Beach, on the south west corner of Rarotonga where you can enjoy spectacular sunsets. Ideal for individuals, couples and groups. For your comfort and privacy we welcome people from age 14yrs. 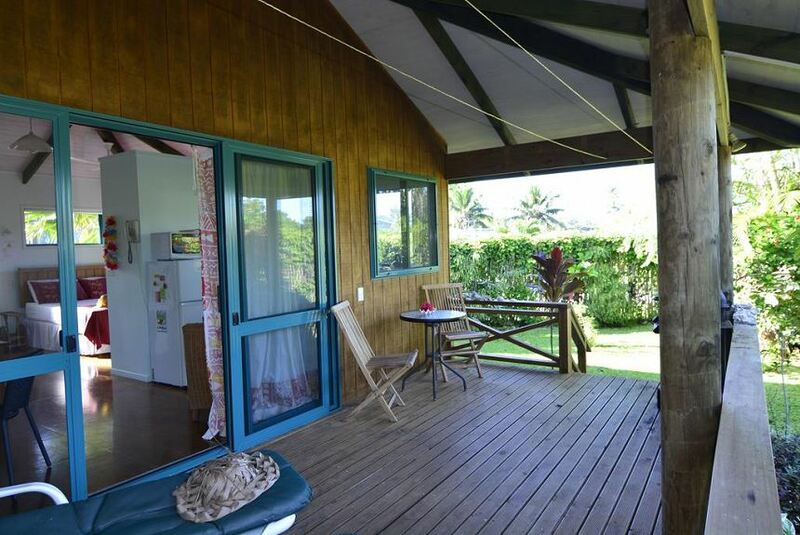 This accommodation in Rarotonga consists of two stylish, clean, airy, spacious and well appointed 1 bedroom bungalows and an apartment. There are lovely gardens of flowering shrubs, herbs and fruit trees around and between the bungalows and studio apartment that provide privacy and still enable easy communication between them. The bungalows and studio apartment are designed for a laid back and relaxing time. There is snorkelling gear available and bicycles that guests can use.